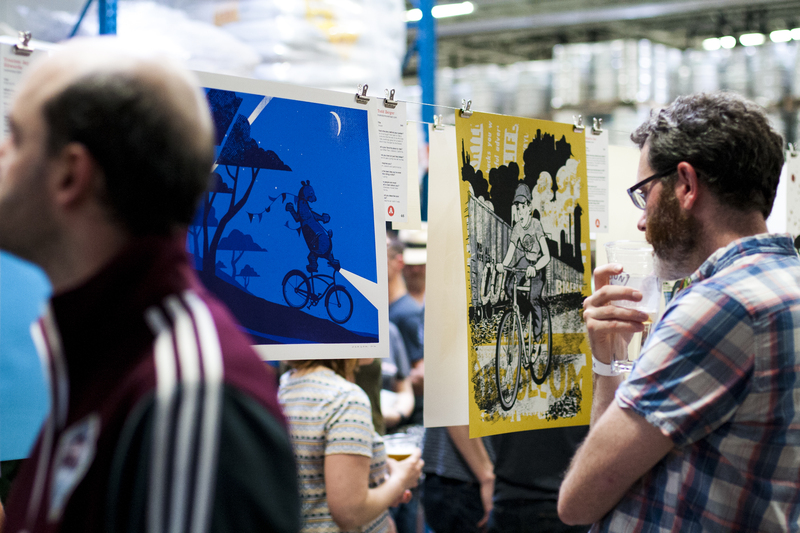 Artcrank Minneapolis 2016 - BrainstormOverload - Small design studio. Big ideas. 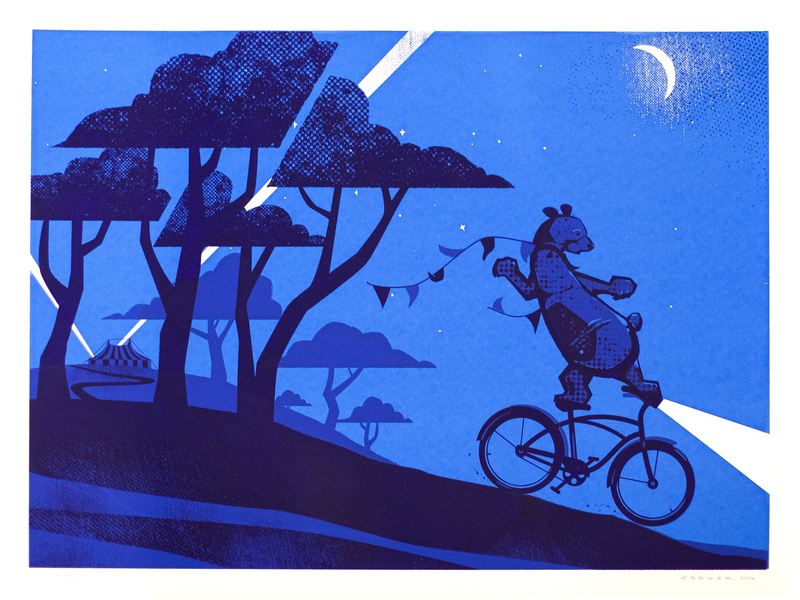 The circus taught their bear to ride a bicycle and inadvertently gave it a taste of freedom that (like all of us who love to ride) changed his life forever. 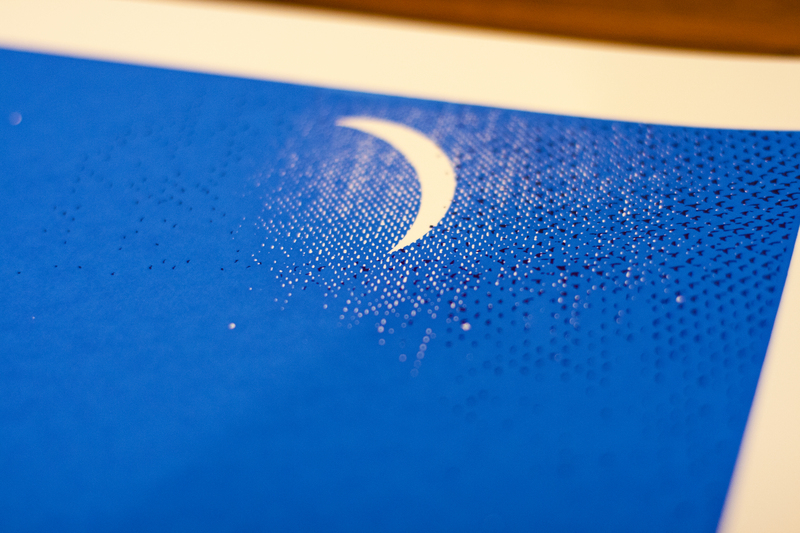 For this year’s print I mixed three custom blues in the shades of evening to give the feeling of a night ride and printed on 110lb Pure White by French Paper. 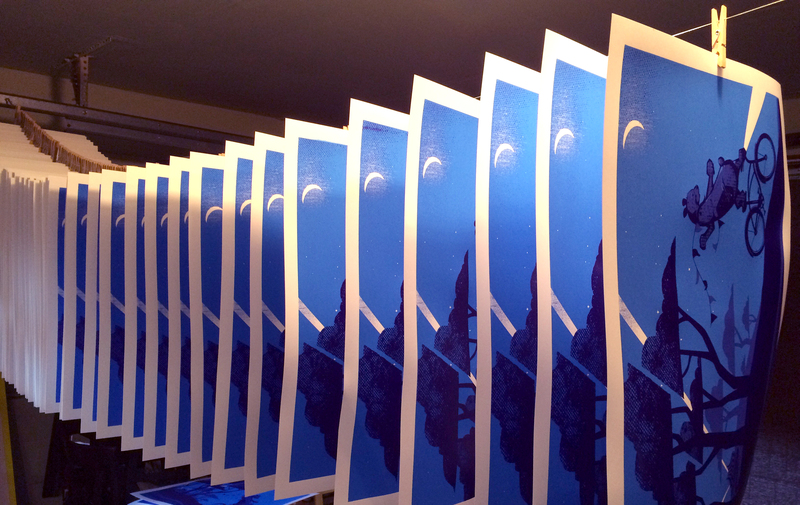 Printed in a limited edition of 75 extra “Escape” prints are available on Artcrank.com. 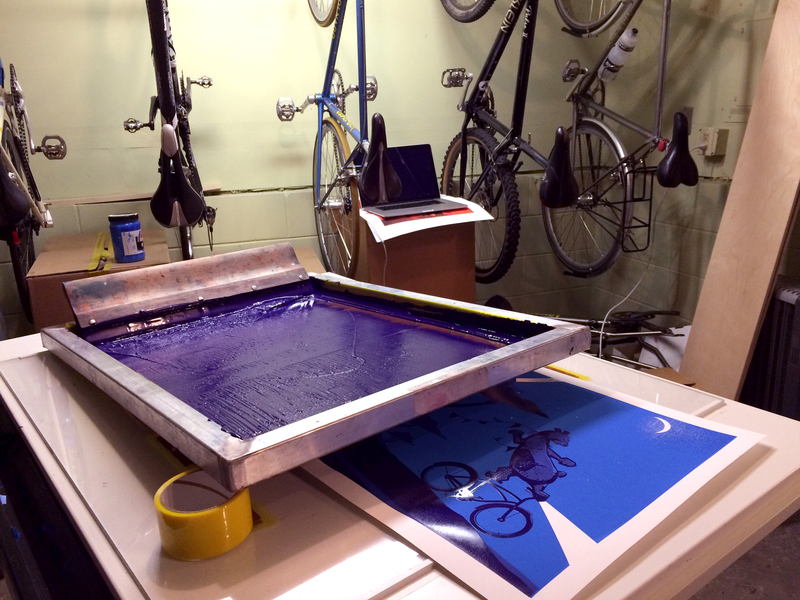 Even though this is my seventh ARTCRANK poster I’m still an amateur screen printer. It’s such a different process than the digital work that occupies my days that I’m compelled to roll up my sleeves again every year. New this year – 50 awesome posters. Repeating this year – show at Fulton Brewery in Northeast Minneapolis and rain.